Preparing for conception is an important part of planning a family and one area Jan excels in. If you wish to ensure you are the healthiest couple you can be before conceiving, consult with Jan. She uses hair tissue mineral analysis, blood testing, hormone testing and sperm analysis where needed in her pre-conception consultations with both the potential mother and father to help prepare you both for a healthy conception and pregnancy. Jan is likely to suggest both parents follow a detox program before trying to conceive, especially if you have heavy metals showing in your hair tissue mineral analysis results or other areas of concern. 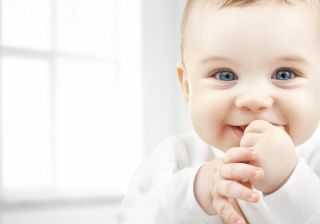 It is a good idea to allow at least four to six months prior to planning to conceive to allow for this preparation time. For example, did you know that sperm take around 80 days to develop. This means that what you did about 80 days ago with your diet and alcohol, for example, will affect the health of your "ingredients" today for conception. And that is why it is vital for Jan to talk to both potential parents about preparing for such an important event in their lives. If you are having trouble conceiving or dealing with miscarriage, Jan can help you bring your body into far greater balance to boost your fertility. Should you be having ongoing difficulties and/or undergoing IVF treatment, Jan will refer you to her colleague who is very experienced in this area of fertility.